We've analysed over 50 VPN services on the market and identified the best ones for gaming. Read on for the full info, or scroll down yonder a little bit to get straight to the VPN action. I'm a massive gamer. Love it. I crank up the PS4 every night once everyone's gone to bed and enjoy some online gaming. Now perhaps using a VPN when gaming seems counter-intuitive. After all, when you're gaming online you want to do everything you can to reduce lag. And, obviously, connecting to a VPN is going to negatively impact your lag when playing online. Even the best VPN for gaming will have some of these issues. Well as always, geo-blocks are in place in the gaming world too, and there are also country-specific DLC packs that you might want to get your hands on. Finally, with talk that security agencies are now monitoring in game chat, it could just be for good old security reasons that you'd want to use a VPN for gaming. So with all that in mind, we've put together what we believe to be the best VPNs for gaming. Can't wait to read the reviews? Fair enough. Got time to read the reviews? Then scroll on good human, we've given our reasons for the choices below. A fast VPN service for Gaming. 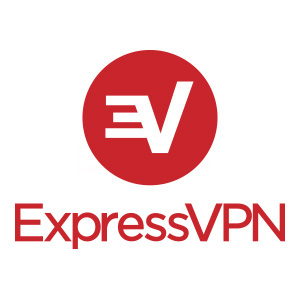 ExpressVPN is one of the best all round VPNs on offer in the market. There's a reason we consistently recommend them (and I use them myself). One of the strong features of ExpressVPN is the speed of the connections. When it comes to the best VPN for gaming, the speed is probably up there as the most important factor. When I have played The Division on PS4 online from my place in Sydney through ExpressVPN connection I have not really run into any lag issues. That's pretty much what you're looking for when weighing up a VPN service for gaming. 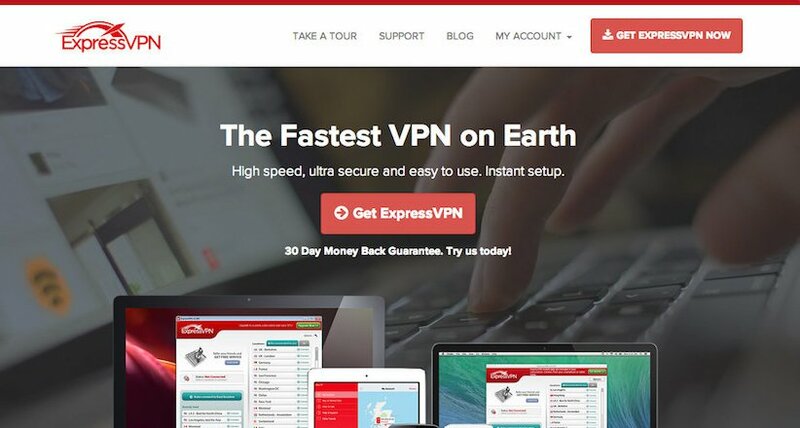 In addition to the speed, ExpressVPN knocks it out of the park with other features including really fast support, 30-day money back guarantee, custom apps for multiple devices and more. Finally, they are based in the British Virgin Islands, which means those pesky US Government (and a tonne of other global Government) officials aren't getting their mitts all over data retention laws. When you're thinking about VPNs for gaming keep in mind the speed of the gaming VPN and the software quality. Don’t forget the customer service, just in case you need an issue sorted out fast. The cost is also very important, just as the number of IPs or servers in place. The VPN you choose for gaming must meet all these different criteria and the one that offers the best in basically every point is worth your time. Beyond these few points, there are other things you need to look into as you choose a gaming VPN. Any combatant in the League of Legends and DOTA2 among other games understands that when it comes to latency you can’t gamble with anything. A VPN is very critical in gaming; its sophisticated tech allows the gamer to connect to a server from some lengthy distance without any effect on the latency. A good example why VPNs are critical is a gamer who is trying to connect to USA servers all the way from Australia. The impact alone on latency courtesy of the distance will be huge. With a VPN this distance is lessened without slowing down anything. The lag occurs as the internet signals of a device pass across web-nodes lined between the gaming servers and a gamer's machine. As the distance a signal must travel increases, it's expected that latency will go up. This lag is measured in terms of ping times, essentially the distance the data has to move to a server before rebounding right back. A stable connection is characterised by a very low ping. Of course decreasing the lag isn’t really easy considering the few choices available of doing so. Finding the best provider offering great servers and speeds and not far from where you're in terms of geography can really help. Even the choice of servers does matter, particularly choosing those close to your geographical location in contrast with those located on the other part of the world. VPN benefits are also extended on the gaming devices you're using beyond your computer, such as PS4 and Xbox 360 that even allows a flashed router DD-WRT configuration to be implemented. This clearly conceals the internet connection you're using, such as home WiFi, once the device is connected. VPN obfuscation can be taken to a whole new level by turning to services using proxies for dedicated gaming servers, which are known as Gaming Private Networks. While their latency reduction depends on the user and offer all sorts of diverse experiences, there're some offerings that work better or give better results than others. For instance WTFast is a unique Gaming Private Network offering server solutions with a view to make gaming online very fast. Their software is known to clasp delicate game data latency in the process relaying it across an international network of hundreds of servers. The result is an optimised connection to a game the whole time. This kind of Gaming Private Network offers a decreased latency on average, minimizing the spikes and flux in the connection of a game. With a service wholly dedicated to gamers, the service relies for success on its critical selling points such as the server load, speed and their unique support for diverse PC games popular online. In terms of the real encryption however, the security might not be that high. Another proxy to turn to is a Smart DNS. The service comes with almost the same benefits and can run within the same speed offering a better experience than Gaming Private Networks. In contrast between VPNs and Smart DNS, the former is beaten hands down. However, they don’t really offer the benefit of choice in terms of geography although some Smart DNS providers actually offer some VPN although with less security; you can find some Smart DNS with lesser security than VPNs but with a better experience than a typical Gaming Private Network. There're different VPNs any gamer would love to own out there. Compare them to get the best that's way ahead of the pack. Gaming via unconcealed connection might be the best, but security, DDoS reprisals and geo-restrictions are some of the reasons that a VPN worthwhile no matter what kind of gaming you're involved in online. Latency cannot really be evaded, but with the right server you can really lessen its effects. The prices are not uniform with differences clearly visible among the different VPNs ideal for gaming; higher prices might get you a better service and expansive features but it's not always the case. Be a little sceptical as you look across the different VPN offerings available before you choose the most ideal for your gaming.